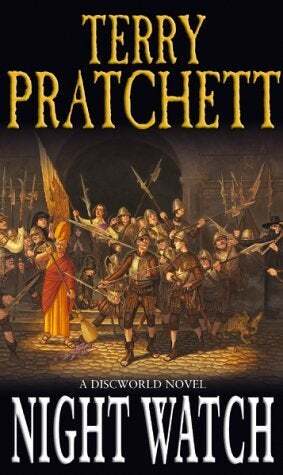 The second I got home this evening I ran to my bookshelf, pulled out Pratchett's Night Watch and hugged it to my chest. It was my first Pratchett novel and one of my all time favorites and I just had to lay my hands upon it again and grieve all over again over it. Terry Pratchett wrote over forty amazing, brilliant, incredible novels. Some were Discworld, some weren't. All were fantastic. So while we try desperately to pull ourselves together and make sense of a world without Sir Terry, let's take a moment to honor him by sharing our favorite books that he wrote and why it resonated with us. Everyone finds something different in his books, that's the beauty of them. Farewell, Sir Terry. Thank you for everything, but especially for Commander Samuel Vimes.